You expecting a few non functioning or issues cameras to arrive in a challenge like this . 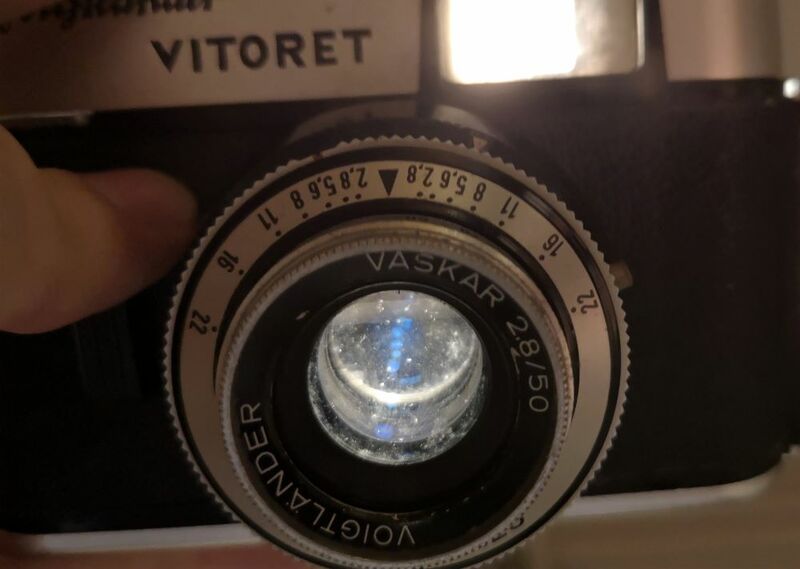 sadly the Vitoret had the worse case of lens fungus I’ve seen this side of a Halina 35x. 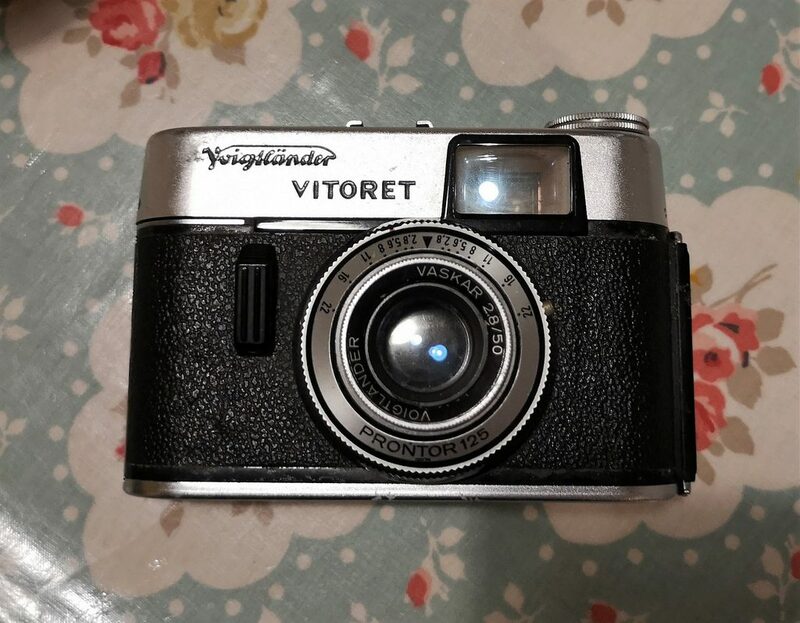 The Vitoret series was Voigtländer budget range sold to compliment their more expensive Vito series. 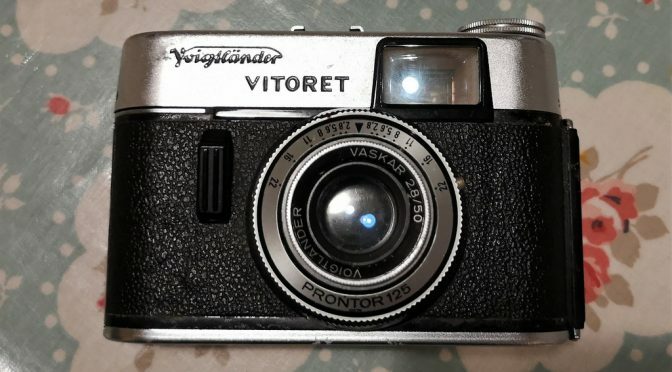 Over time 8 models were produced from this basic Vitoret to the Vitoret LR (coupled selenium light meter & coupled rangefinder). There was even a rapid film model. This camera was the first in the series and the most basic with no frills. The camera is pretty typical for an entry level West German viewfinder with a prontor 125 shutter and a 50mm 1:2.8 lens. That lens is designated Vaskar and dates the camera to no later than 1966. That was when Voigtländer upgraded the lens to the Color Lanthar version. The Prontor shutter offered 4 speeds 1/30, 1/60, 1/125 & Bulb. There’s a PC sync socket for flash and a cold shoe. And that’s really all I can tell you the Fungus was so severe optical quility would have been ruined and I really didn’t like the the though of leaving it around. 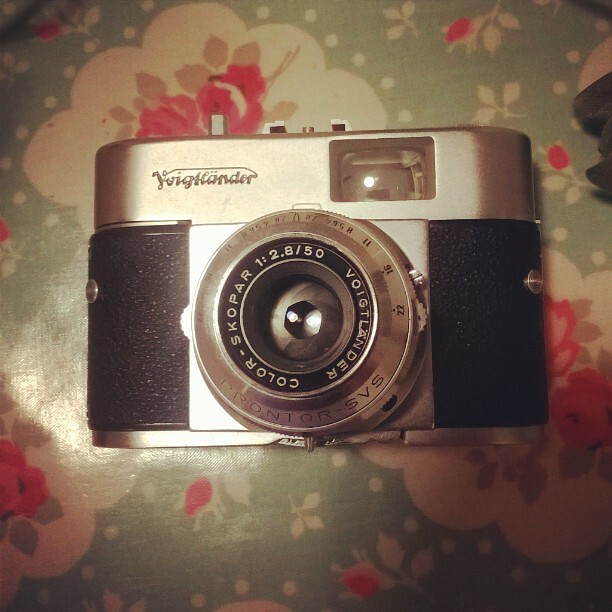 Classic Cameras has a reasonable review including a tear down of this camera for CLA. Thephotorenaissance also review this camera with a lot of test shots. Down The Road’s Jim Grey reviewed the LR version but wasn’t that impressed. These cameras routinely go for a tenner or less on eBay.